Activist Confront Clean Power Opponents In D.C. Activists assemble outside the D.C. Circuit Court of Appeals on Tuesday as the court began hearings on the Obama administration’s Clean Power Plan. Eighty People’s Action leaders from seven states took to the steps of the D.C. Circuit Court of Appeals and to the offices of Koch brothers-funded lobbyists on Tuesday to demand racially and economically just implementation of the Clean Power Plan, the Obama administration initiative for lowering carbon emissions from power plants. We came to D.C. to defend our right to act on climate through the Clean Power Plan (currently stayed in federal court) and to fight the corporate interests suing to stop its implementation. Gathering the day before to train and prepare, we also took the opportunity to dig deep into the dominant narratives around climate change and build the relationships we need to wield people power at the national level. Later that day, we turned out in solidarity with Native American leaders who were meeting with the White House on a variety of pressing issues, including stopping the Dakota Access Pipeline. 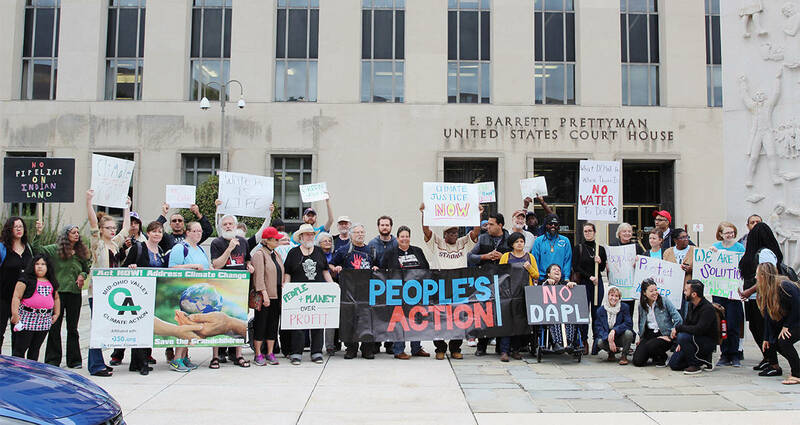 People’s Action leaders showed up bright and early Tuesday morning to rally outside the court during the beginning of oral arguments in the lawsuit brought by dirty energy against the Clean Power Plan. While rally speakers and participants were clear that the CPP on its own is just a first step towards the climate justice our people and planet need, they were emphatic that the corporate assault on the policy is nothing less than an attack on our right to survive. Activists supporting the Clean Power Plan went to the Washington offices of the National Mining Association and then to the National Association of Manufacturers to demand they end their opposition to moving away from fossil fuels. Not content to keep our message to the outside of the courthouse, we also marched first to the offices of the National Mining Association and then to the National Association of Manufacturers, two industry groups that have joined the lawsuit against the CPP and that have each spent tens of millions of dollars on lobbying to undermine our communities’ rights and our planet’s health. Our leaders demanded NMA and NAM stand with communities, drop the suit and support real climate justice solutions. Afterwards, People’ Action community leaders headed to Capitol Hill to meet with their congressional representatives. They demanded action on emergency funding for Flint, Mich., and strongly opposed the Energy Policy Modernization Act, legislation which would open the door to more natural gas pipelines and pour badly needed funds into false solutions like “clean coal.” Our leaders talked to their representatives about the urgent need for investment in public water systems, green infrastructure and an immediate halt to the Dakota Access Pipeline. 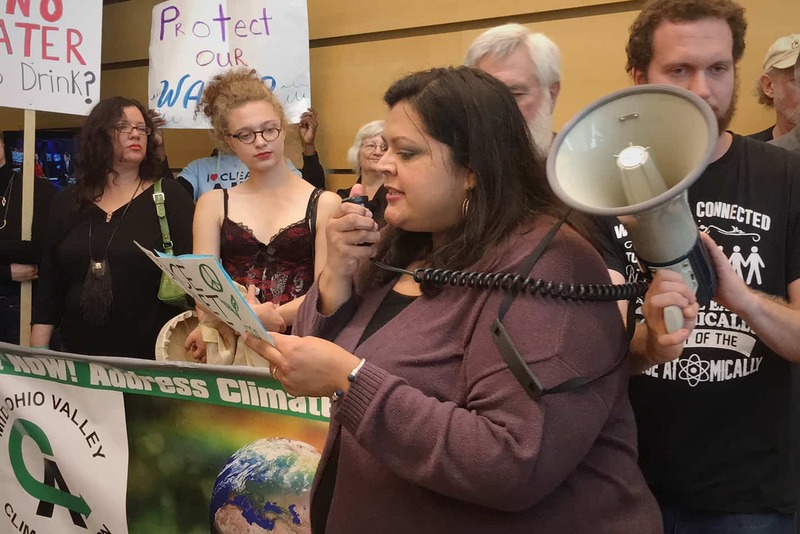 Whether on the steps of high courts, the lobbies of lobbyists or the halls of Congress, our message was clear: our communities have a right to economically and racially just climate action that puts our people and our planet before corporate greed.